This week marks “Crossover” at the General Assembly. Both chambers have to finish up action on their own bills by midnight Tuesday; starting on Wednesday, they can consider only bills passed by the other chamber. If you’re a legislator and your bill doesn’t get acted on by COB Tuesday, you are out of luck for the year. Investment tax credit-now-grant passes Senate but not House; advocates looking for help to get it through this year. HB 910 (Villanueva) was “continued to 2015” by voice vote in House Finance, essentially killing it for the year due to a failure to find funds in the budget to cover the cost. However, SB 653 (Norment) has passed the Senate, giving proponents a second shot in House Finance and more time to identify funds. Supporters are running a campaign to generate emails to members of the House Finance committee. Follow the link to send an email. Just for the record, I don’t recall any similar difficulty approving the tens of millions of dollars we throw at coal every year. 5-year banking limits on REC purchases for the RPS expected to become law. SB 498 (McEachin) and HB 822 (Lopez) both passed their houses, so voting in the other house is just a formality before they go to the governor for his signature. Municipal and multi-family net metering dead for the year. Last week I reported that the House energy subcommittee had killed all the House bills that would expand net metering opportunities for municipalities and multifamily housing communities. Now we have to add the Senate bill, SB 350 (Edwards), to the death toll. Condolences go out to those intrepid industry members and advocates who keep fighting to give Virginians more access to solar, knowing they have about as much chance against Dominion Power as democracy advocates have in North Korea. Hampton Roads set to get a study of “recurrent flooding”; just don’t call it climate change. SJ3 and HJ16 have passed the Senate and House. 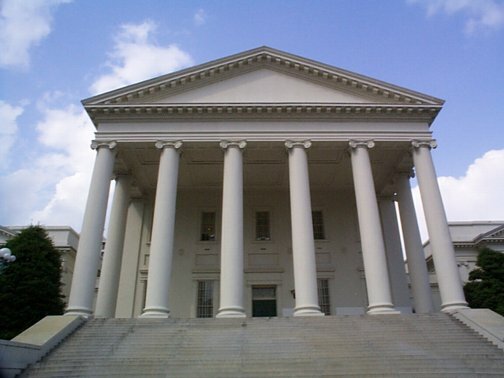 Fracking restrictions for Tidewater Virginia pass Senate. SB 48 (Stuart) will now go to House Commerce and Labor. HB 207 “science education” bill may die of (press) exposure. Delegate Bell’s bill has been tossed from one House committee to the next like a hot potato, with no one wanting to go on the record voting either for it or against it. The news media have been all over this one, quoting science educators who say it promotes creationism and climate denial. Truth be told, many delegates support it for precisely that reason, but they don’t want to be exposed as troglodytes in the press. The bill is now back in Courts of Justice with pretty much no chance of getting to the floor tomorrow. Dominion’s rate increase for nuclear clears both House and Senate. You can call it what you want, but in the absence of SB 459 (Stosch) and HB 1059 (Kilgore), we’re told regulators would require Dominion to refund to ratepayers the money it has reportedly been overcharging them, and to decrease rates going forward. These bills let Dominion keep the overage as a way of paying for a nuclear plant that will probably never get built. SB 459 sailed through the Senate. HB 1059 passed through committee and awaits action tomorrow by the full House. Stay tuned to find out if Dominion succeeds in sticking us with half a billion dollars to support Tom Farrell’s nuclear fantasy. This entry was posted in climate change, Nuclear and tagged Dominion Power, energy, environment, net-metering, renewable energy, RPS, solar, Virginia. Bookmark the permalink. I tune in regularly to the Ivy Main show, not only because it’s informative, but because it’s entertaining as well. Pithy is good. You do have a way with words. Yes, Ivy, thanks much. I enjoy reading your stuff. This session was not totally terrible for clean energy in VA.
You don’t see “troglodyte” every day. Great job as always, Ivy. Nice writeup! Wish it was a better story! Testimony to be filed in Dominion VA this Friday on IRP. But we shall over come some day!